This is the graphic from the first slide for my session at the Minnesota Church Expo tomorrow. 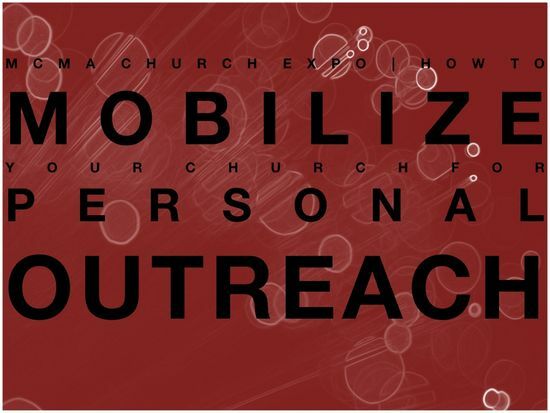 The workshop will focus on "how to mobilze your church for personal outreach". Should be an encouraging, and hopefully radical (in the real sense of the word), look at "outreach" and our tendency to do it alone… or not do it at all. Some of my favorite topics such as Cultural Intelligence, Romans 16, St. Patrick, Generational Transference and Active Listening will be explored… maybe… if time allows. Can't wait! Come on by!